What is wealth without the time and ability to enjoy it with your family and friends? Agree with what I just said? Then you want to prevent common lifestyle diseases like heart attack from killing you early. A heart attack happens when the heart does not get enough oxygen due to interruption of blood flow. The heart muscle fails to function properly, causing the heart tissue begins to die at a rapid rate. Recognizing the subtle signs of a heart attack and get to the hospital immediately can mean the difference between life & death. Don’t brush off any subtle signs no matter how healthy you (think you) are. 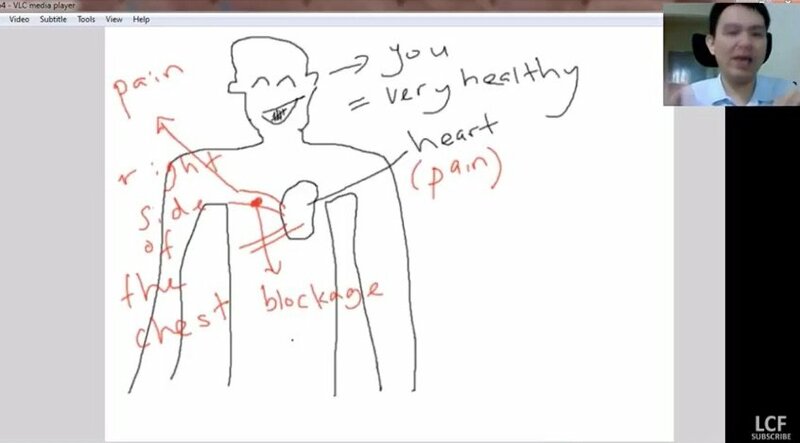 It is better to be safe than to be sorry, so go check whether the abnormal pain you are experiencing is a symptom of a heart attack, this video tells you you a real life true story. Remember, heart attack warning signs may not be a chest pain at the left side. It could be a discomfort anywhere in the upper body (less subtle). The thing is even if you have recently worked out or do anything that may cause upper body pain, a dull pain in these areas could be a sign you’re having a heart attack. This can be coupled with a feeling of body weakness because the arteries is narrowing thus causing less blood flow and circulation. You may also feel dizzy and cold sweating because of poor blood circulation in the upper body. And last but not least, you may feel nausea, which can also lead to vomiting. If you experience these medical complications or symptoms, it may indicate that a heart attack could be just around the corner. Share this so you could save a life – be it a family member, friends or colleague. Can you claim insurance caused by AH1N1? Withdraw EPF Fund to Pay Insurance Premium? Nearing Retirement? Are You Ready for It?